What are the Best Chargeback Prevention Tools Available? Chargebacks are hugely detrimental to profit margins. No merchant wants to see recurrent chargebacks for any reason. Fortunately, there are several chargeback prevention tools that help reduce risk and retain more revenue. The chargeback system is subjective because it involves human interpretation. Automated solutions are nice but should never be used in isolation. Computers can’t fix a problem created by people. Chargeback prevention tools are effective when combined with human management and supervision. Let’s take a look at the best tools and technologies available for reducing the risk of chargebacks. A blacklist helps merchants ban known fraudsters. Whether these individuals are engaging in criminal or friendly fraud, merchants can ensure they only cause trouble once. Merchants can block cardholders who have engaged in fraud or are undesirable customers for other reasons. Merchants can block individual IP addresses or email addresses or even ban entire countries. 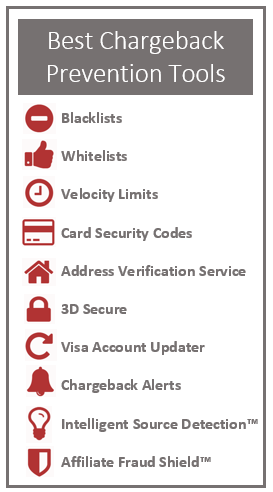 Like a blacklist, a whitelist helps merchants control the demographics of their customers. Rather than ban a few individuals, a whitelist helps block large populations. Then, a select few are allowed through the protective barrier. For example, a merchant might use a whitelist to block all countries of the world except the U.S., U.K, and Canada. Both blacklists and whitelists help merchants reduce risks by identifying and preventing transactions that are likely to result in chargebacks. Criminals try to “run” a card. This process allows the criminal to make as many fraudulent purchases as possible before detection. If one fraud attempt is successful, the criminal will likely try for another — either with the same card or a different one. Velocity limits enable the merchant to monitor the frequency of transactions (or attempted transactions). For example, an IP address could be prohibited from future transactions if there are multiple attempts made in a short period of time. Card security codes help authenticate a card-not-present transaction and ensure the actual cardholder is participating in the purchase. 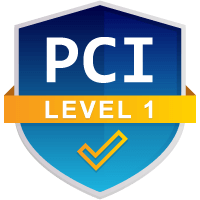 If the customer is able to provide the card security code printed on the card, this chargeback prevention tool is able to verify if the person placing the order has the card in hand. This would prevent any criminal who simply obtained the card account information, but not the card security code. Address Verification Service is an automated fraud prevention tool that aims to reduce the number of unauthorized transactions. AVS checks the billing address listed in the checkout process against the billing address used by the issuing bank. Because criminals might not have access to the cardholder’s billing address or other sensitive information, this chargeback prevention tool helps prove the cardholder is the actual person participating in the transaction. Each card network has its own 3D Secure product. 3D Secure is yet another chargeback prevention tool that helps identify and prevent potentially fraudulent activity. 3D Secure allows participating cardholders to create a predetermined identification number. 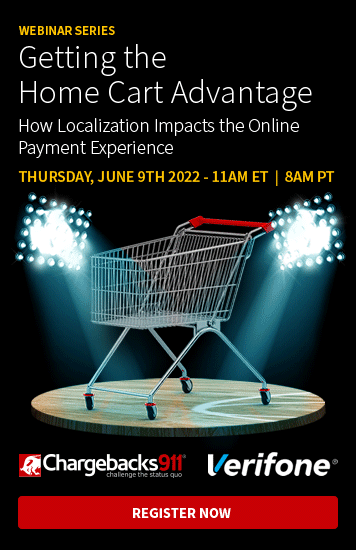 If merchants request this code during the checkout process, they increase the odds of selling to the actual cardholder. Visa Account Updater is a credit card information clearinghouse. When cardholder account information is changed, merchants are notified of the update. This helps merchants manage recurring transactions and ensure only the most up-to-date account information is used to process transactions. This tool helps prevent chargebacks associated with transactions processed with incorrect card data. Alerts help merchants avoid chargebacks associated with unauthorized transactions. When fraud victims contact the bank to dispute a transaction, the bank alerts the merchant to the situation. This allows the merchant to provide an immediate refund, avoiding a chargeback. Chargebacks911® offers the broadest chargeback alerts network. Our clients are able to prevent more chargebacks than those merchants who work with other providers. Merchants struggle to successfully manage chargebacks because they are unable to pinpoint the real chargeback triggers. Friendly fraud has made chargeback reason code intelligence useless; consumers use reason codes that best suit their purpose, not those that actually explain the transaction dispute. For example, reason codes associated with criminal fraud are attached to half of all transaction disputes. However, 80% of chargebacks are actually cases of friendly fraud. If merchants don’t successfully identify the real reason behind the reason code, they’ll forever be implementing ineffective strategies. Intelligent Source Detection™ technology is able to accurately identify the true cause of chargebacks, making it one of the most useful chargeback prevention tools available. Intelligent Source Detection™ is a patent-pending, proprietary technology created by Chargebacks911. If you’d like to learn how to incorporate ISD™ into your chargeback management strategy, let us know. Affiliate marketing is only a viable strategy for increasing profitability if affiliate fraud is kept to a minimum. Affiliate Fraud Shield™ identifies campaign threats and discerns the likelihood of affiliate fraud tactics. This technology addresses risks before they become liabilities. Affiliate Fraud Shield™ is a product of Chargebacks911. Contact us today if you’d like to start using this chargeback prevention tool to successfully minimize the risk of fraud. Preventing transaction disputes is a difficult task; chargeback prevention tools can help. However, it isn’t advisable to put too much trust in these automated technologies. 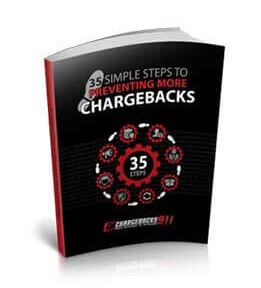 Few merchants have the necessary resources available to effectively prevent chargebacks. All their time, effort, and energy should be spent growing the business, not addressing chargeback issues of the past. If you’d like help preventing chargebacks, let us know. Our turnkey solutions can manage chargebacks in their entirety or we can simply offer on-demand assistance when you need it. Contact us today and we’ll discuss your individual needs.